Canvas has an intuitive interface and many help guides are available in FIU’s “Getting Started” module page. Still, your students may not know everything they need to know to ensure the best learning experience. When starting a new class, there can be a lot of information to wade through. As an instructor, you can provide just-in-time information that leads students to the shores of success. Here are a few valuable pointers that you can share with your students to better help them navigate and use Canvas. 1. Wherever you go, connect confidently to Canvas. At FIU, students can access the Canvas Learning Management System on a desktop computer using a browser (Chrome, Firefox or Safari recommended). Also, Canvas can be accessed through a smart device using apps for iOS or Android operating systems. These mobile apps provide students (and instructors) access to most helpful Canvas features. 2. Stay connected with easy communication. Communication is an important aspect to a successful learning experience. Canvas provides several communication tools such as Notifications. In Canvas, students have the ability to customize their notification preferences. Try emphasizing to students the importance of paying attention to Canvas notifications and their student email account so as not to miss valuable communication from all their instructors. 3. Be organized with the Calendar. Assignments are automagically compiled in a calendar and courses are color-coded to help students remain organized. In addition, students can add their own events to their calendar too. Also, students can sync their Canvas calendar with other programs. Make sure students know that the “To Do” calendar feed on their Dashboard does not tell them everything they need to do. [For example, if an instructor “mutes” an assignment then it will not appear in the “To Do” list.] Therefore, encourage students to not rely too heavily on the calendar feed, but to check each course for appropriate information and to refer to the syllabus. It’s always frustrating when there is a blip in network connectivity and work is lost. If working on a long assignment such as a paper or discussion, suggest that students type in a Google document, Word document, or Notepad. Students will want to save their work periodically, and when done, copy and paste the text into the submission text box [if that’s how the assignment is to be submitted]. 5. Dude, where’s my assignment? Students are often unsure if they have submitted an assignment or if they submitted the right version of a document. Fortunately, Canvas provides students with details like the date and time submitted. They may even download their submitted assignment from the same area. How do I know when my assignment has been submitted? Anytime that a student has submitted a file to a course, it is also deposited in their unfiled folder in their personal Canvas Files area. Students can locate instructor feedback in a few different ways. The “Recent Feedback” feed allows students to see comments and grades on evaluated assignments. Also in the traditional manner, students can access “Grades” to view their recorded grades (unless assignments are muted). How do I view rubric results for my assignment? How do I view annotation comments from my instructor? 7. Help is ALWAYS available. 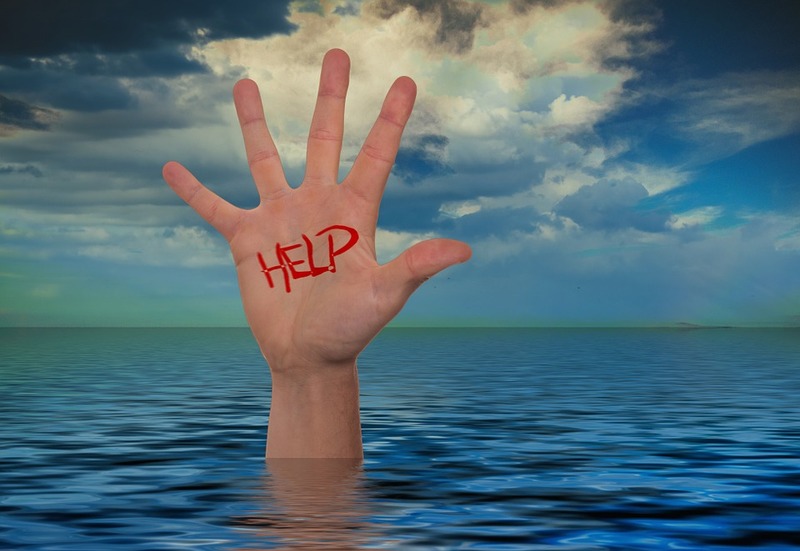 If students are swimming in uncertain waters, unsure what to do or are experiencing technical difficulties, then assistance is available. Students have the option of contacting FIU’s LMS Help – Support Services or Canvas Support. Canvas Support provides 24/7 assistance by email, chat, and telephone. In Canvas, access the “Help” button on the far left menu for support. These tips provide some of the answers to questions you are most likely to receive as an instructor. The Top 7 Things FIU Faculty Should Know about Canvas article empowers you with knowledge to masterfully use Canvas. Additionally working with your instructional designer, you can interject prompts into your course design to help your students best use Canvas. That scores a win for us all. Sky V. has been rocking the FIU Online Instructional Designer "hat" since 2012. She promotes the use of best pedagogical practices and implementation of diverse forms of technology, yielding a positive online teaching experience for our professors and engaging learning experience for our students. Her areas of expertise include social media, gamification and user interface design. She is also an Adjunct Instructor with FIU's Marketing & Logistics department.